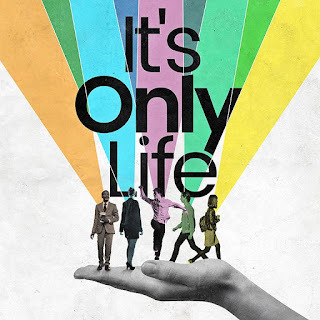 I was not aware of the work of John Bucchino until Katy Lipson announced her new production of It’s Only Life at the Union Theatre. The show conceived by Bucchino and Daisy Prince, daughter of Broadway legend, Hal Prince. I mention this as the music and lyrics in It’s Only Life has a strong Sondheim-esque quality. 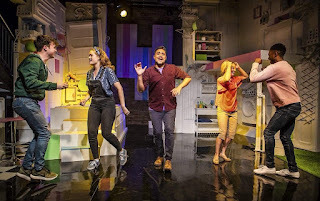 One can only imagine the influence of Stephen Sondheim on Daisy Prince growing up, when your Dad is Hal Prince and one of his most significant collaborators – Follies, Company, A Funny Thing, Merrily We Roll Along. It’s Only life can be best described as an intimate, stylish revue featuring Bucchino’s work and is summed up as, ‘about longing, fulfilment, loss, triumph and ultimately wisdom’ – all good musical theatre staples. 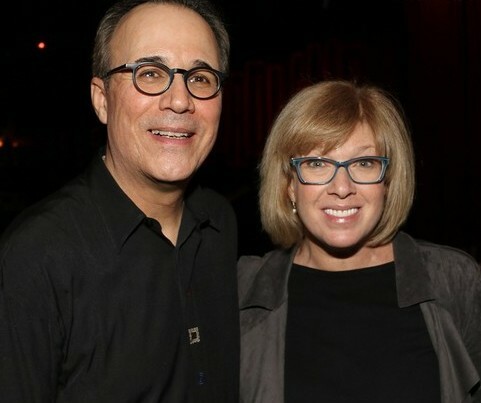 The New York Times goes on to say, Bucchino’s ‘flowing, finely made piano ballads describe an urban life in which relationships come and go in cycles of yearning, fulfilment, heartbreak and healing’ – where romantic love is anticipated with ‘high expectations, high anxiety and open hearts’ – and who am I to argue? 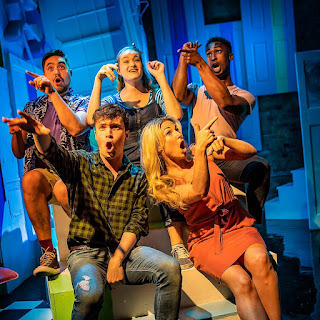 What I will say, is that director, Tania Azevedo, has created a beautifully elegant, gentle, tightly-controlled and immersive (if you take to the on-stage beanbags) production, with inventively-relevant choreography by William Whelton and set within Justin Williams and Jonny Salt’s sugar almond-coated set – a true pastel paradise. But enough of the fluff, the five-strong cast is led by Noel Sullivan, Jennifer Harding and Jordan Shaw (recently in Sondheim’s Follies at the NT) and two professional debutants, Will Carey (Stephen Sondheim Society Student Performer of the Year 2018 finalist) and Sammy Graham. The ensemble seemed to be totally enjoying themselves and performed with great finesse and style. Noel Sullivan’s vocals were outstanding, and Jordan Shaw is an immensely watchable and magnetic performer. Sadly, my only criticism of the entire production is the poor sound quality. 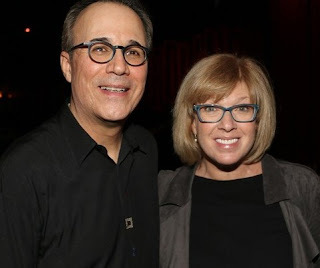 With a production that boasts witty - I did catch the Sondheim name check - intelligent lyrics, it is a given that you must be able to hear them clearly and easily. Sadly this is not the case. I would add that this production has lighting design by Clancy Flynn that features more kit than I’ve ever seen in such a small space. Perhaps less might have been more, and some of this budget might have been more usefully and productively spent on appropriate sound design! 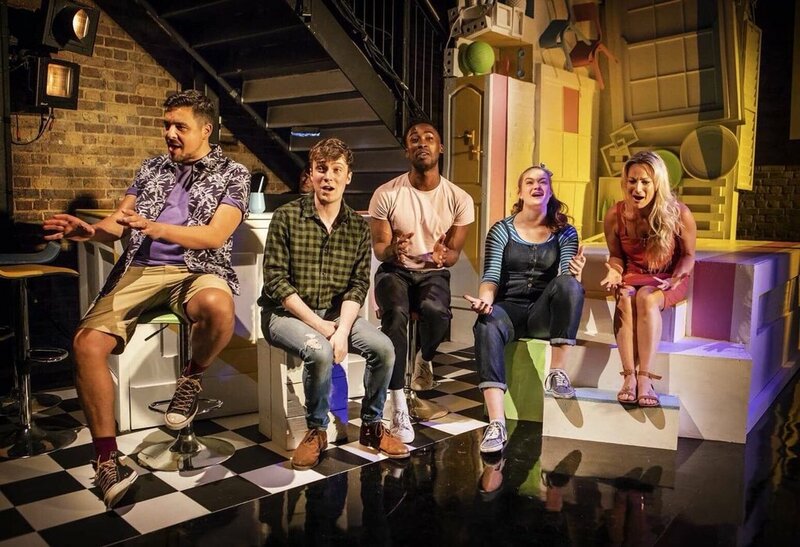 It’s Only Life is nevertheless a charming, striking, stylish piece of musical theatre performed with great verve and chic by a super-talented ensemble. Brava Katy Lipson too for bringing it to a London audience! 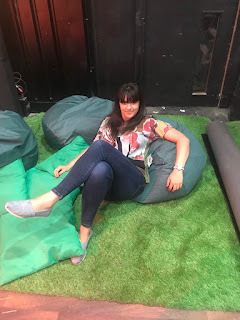 Katy Lipson enjoys an onstage beanbag!